Sanborn, NY - Natalie is a friendly shorthair/mix, black/bronze/tortoiseshell beauty who is looking for a forever home. She is a stray cat with her front paws declawed. 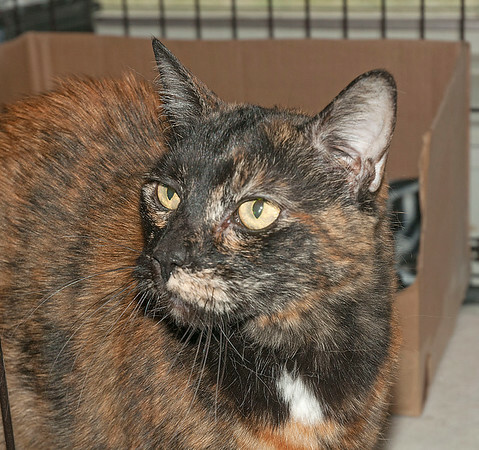 As a Niagara Gazette Pet of the Week, her adoption fee has been waived.